Every now and then, I look at words or things and they appear mysterious. It’s as if I’m seeing them for the first time. I love them because I feel like a child. I suddenly have to figure out the mundane, the understood. Or even better, I sit in wonder at something. You know how babies look at their fingers individually as if they are witnessing the incredible? Sort of like that, but not as cute. I was running out of the house to take my daughter to school this morning. Teeth brushed, hair patted down, I washed my face. After a little moisturizer, I put on extra lip balm because for some reason my lips have been really chapped. That doesn’t normally happen to me. My lips pretty much just behave. As my middle finger smoothed the ointment over my bottom lip – Bam! Look at all the ridges and how they scoot to the edge like one of those Beverly Hills zero-edge pools. Why don’t the ridges continue over onto my chin? How did they know to stop right there when I was being made? Maggie was in the car already, and I was puckering and unpuckering my lips. The ridges must allow me to move them around. Most things on the human body have a purpose, right? I put the cap back on my lip goo and took one more look. The top lip. Why does it turn up like that, in the little bow? Maybe that helps make sounds, speak? I shook myself free from the wonder, I was going to be late. I turned, kissed Michael goodbye, and rushed out the door. Kissing. Where? When did that start? Why? 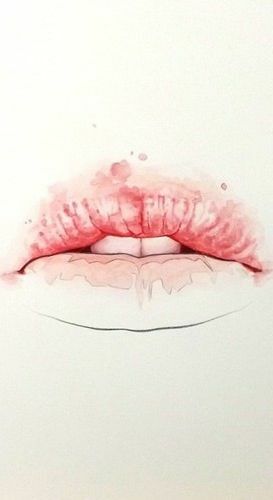 Lips to lips. Sigh . . . I’m not going to get anything done until this passes. My thoughts from the laundry room. Goodnight Kiss. Glad to hear others look at words suddenly and try to figure out if it’s really spelled correctly. The weird thing is that they’re always simple words you’ve spelled hundreds of times, never the complicated ones. I really enjoy your outlook on life. It is hilarious and really makes my brain start turning too. Oh, I’m all about the obscure. 🙂 Thanks for reading and your comments, Debbie.